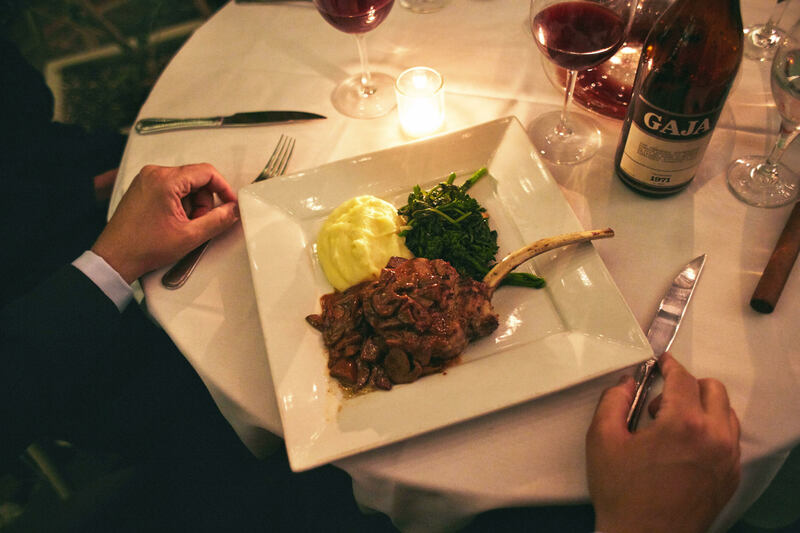 If you want to get away for a romantic dinner in Beverly Hills, Il Cielo is the place. Since it opened its doors in 1986, this has been the getaway within the city that makes you feel like you are back in Italy. When you are sitting on their patio with the soft lights, surrounded by the beautiful garden and old-world style of décor, you feel like you have been transported to a little country restaurant in Tuscany. All of the noise and distractions of the city fade away, and you will find yourself completely relaxed and focused only on your present experience. The restaurant is still owned by Pasquale & Pattie Vericella, who bought it as a home with the vision to design it into a charming restaurant. They created an ambiance that had the intimacy of an Italian country cottage paired with the authentic experience of Italian dining. Pulling from their own upbringing and experiences, they designed an escape in the city that takes you to another time and place. 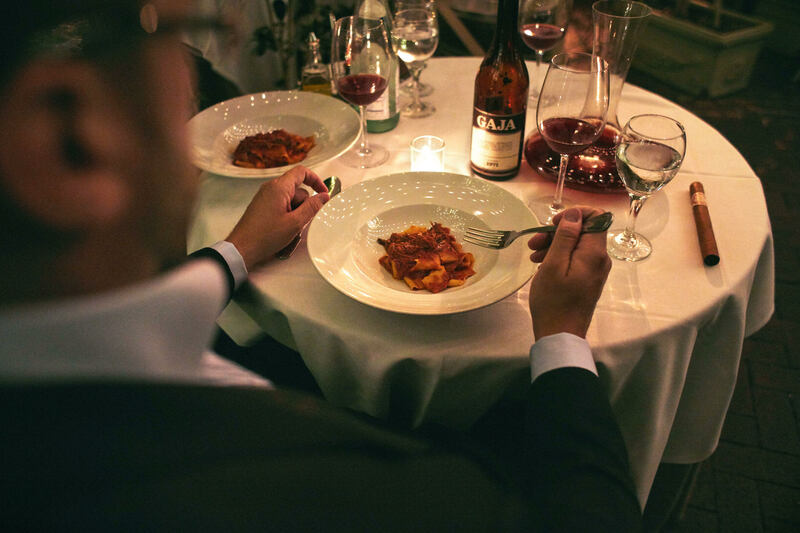 Paying attention to every detail, their Italian wait staff are all well versed in fine wines and cuisine, and their menu boasts the same freshly made pasta that I enjoy every time I visit Italy. I had just come back from working on my new designs for CCCXXXIII and was still craving the Italian cuisine, so I found myself back here again. 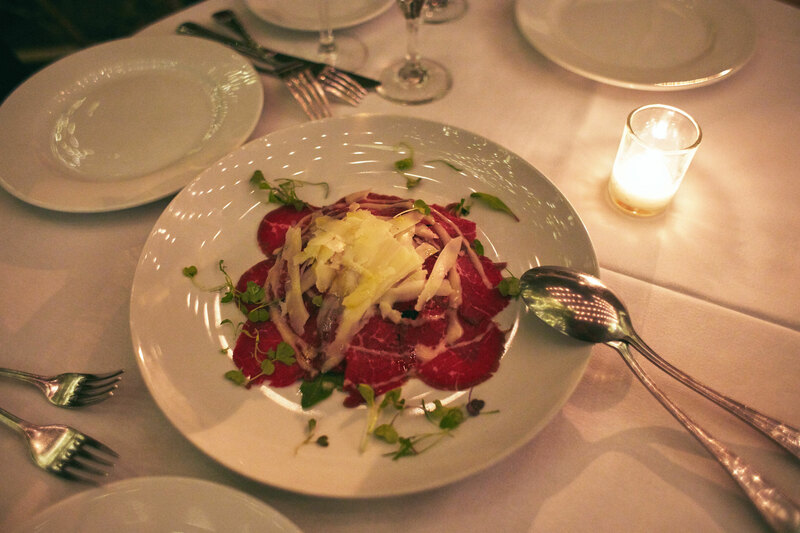 This evening I started with the Il Manzo, a filet mignon carpaccio with the perfect amount of lemon dressing and shaved black truffle and parmigiano reggiano. At the same moment, the wine arrived, creating the perfect pairing. Usually, when I have Italian fare, I will pair a pasta dish in between the appetizer and main entrée. My favorite pasta dish here is the Pappardelle al Cinghiale, which is Roasted Wild Boar in Au Jus with Barolo wine. This has been a long -time favorite of mine and suggest to anyone coming here for the first time. My main entrée for this evening was the special they offered that night, the Grilled Veal Chop with sautéed rapini and mashed potato in porcini mushroom sauce. For those of you who want something a little lighter, I highly recommend this fish entrée. It is a grilled whole Mediterranean sea bass with the eggplant puree and sautéed spinach and cherry tomatoes. They present this and then delicately filet it tableside, which is a nice touch. My choice for wine on this occasion was an easy one to make. 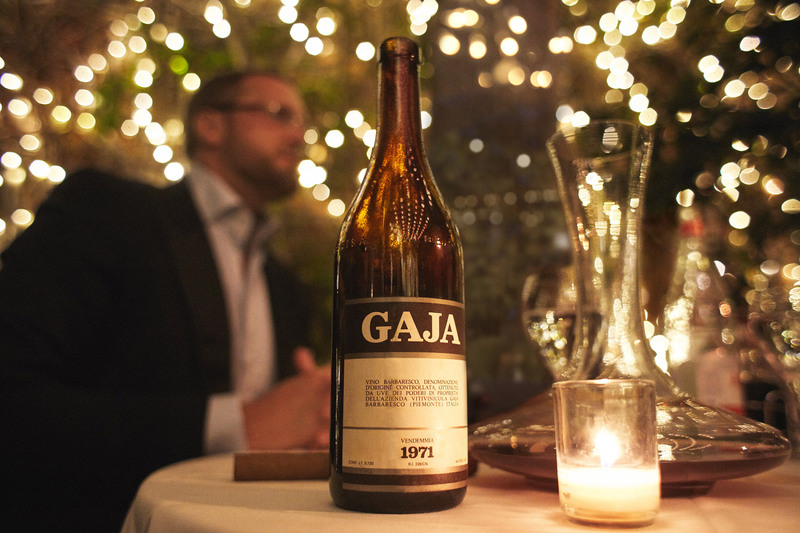 I have enjoyed every bottle of Gaja Barbaresco from the 70’s, and 80’s that I have opened over the years. Personally, I prefer wine to be more aged to have the perfect flavor, which is why I don’t drink much of the current vintages. In my opinion, 1971 is not an exceptional wine as an investment, but most of the Barbaresco wines during this period have incredible flavors that pair well with the right cuisine and should be enjoyed. This 1971 is very silky with a light ruby color and is delicate enough for fish, but still, has the rich flavor of layers of dried red fruit that pairs beautifully with Veal and Wild Boar. So, the next time you want to get away for an evening in Beverly Hills, with a date or even on your own to experience a piece of Italy, I recommend this landmark destination. You will be back, again and again.